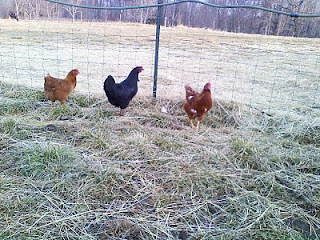 There's now over 60 free ranging happy hens (& counting) on the farm. That's a lot of eggs to collect and since all our hens roam free, there's an egg hunt everyday..kinda like Easter all year round. And don't let these girls fool ya, they are pretty slick when it comes to concealing their laying spots. After all, why would they choose the lovely handmade boxes that were custom made for them to sit in when they could choose a spot with a different view everyday! Can't blame them honestly. So an egg collector has to be attentive and watchful. Since these are very chatty girls, one just has to be a good listener to know where to look. When the egg hide out is found, the collector can then be sure where not to find eggs the next day. Once their hide out is revealed, they tend to move on. 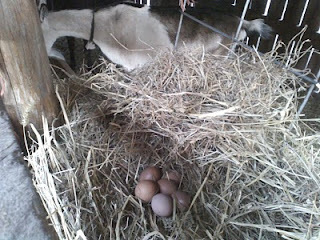 I personally think a hens' goal is to lay the last egg on every nest, kinda like the last one that lays wins! So if a nest is found out, they all lose and the game starts all over again the next day. To be an egg collector, one must enjoy a sportingly egg hunt game...everyday! With 40 acres, there's endless egg laying hide outs. Rita, a red star hen, greets me every morning by the corn barrel. She waits patiently for me to lift the lid. 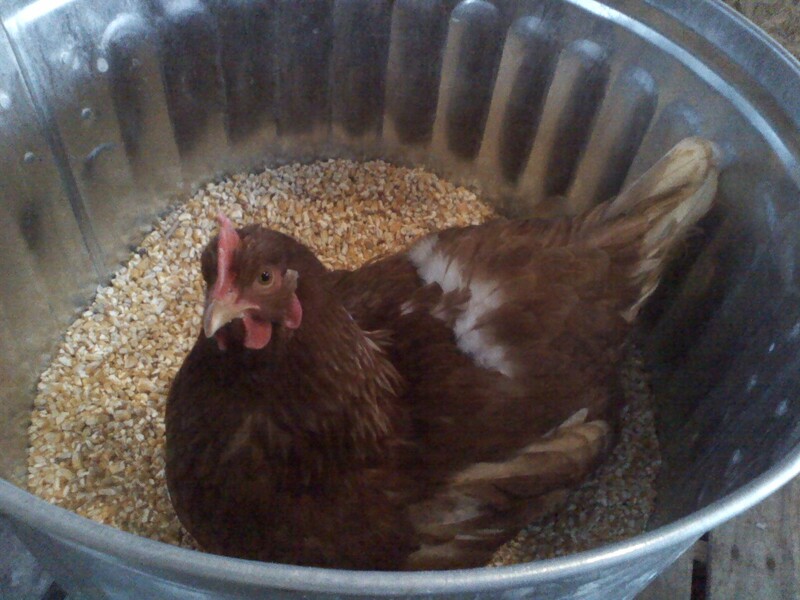 As I lift the lid and take what corn I need, she nestles down inside the barrel among a buffet of cracked corn to do her divine duty. Some mornings I'm running late, some mornings I'm there earlier than usual..it doesn't matter to Rita. She clears her morning for this event. And since she prefers the corn barrel, she will wait tirelessly or get up before the rooster if need be. Egg duty calls but she's in no hurry. She does not care about being the last layer on a heaping pile of eggs, she doesn't seem to care about much. But she does like having an all she can eat breakfast...and because she always gives something in return...she knows I will accommodate her short stay there in the corn barrel. Smart girl!